Overview... worker in an android factory who has had a recent awakening. His society believes that the perversions committed by old humanity had a definite corrosive effect on society. The powers-that-be believe that if those like THX 1138 – those who feel – are not destroyed, their deviant characteristics will be transmitted to others. The reason he stopped taking the mandatory drugs was, of course, for love. (Namely, love for LUH 3417, his female roommate.) But love is considered perversion in this society, a disease due to lack of "medicine." So THX 1138 is now a wanted man. Personality... increasingly compassionate and human. Unfortunately, he’s displaying these traits at a time when the supposed inadequacies of the human personality are rapidly being replaced by the social processes of advancing technology. Society’s leaders believe that “component lowness,” a sophisticated stimulation, is the answer. 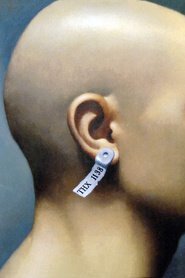 But THX 1138 believes that rebellion is society’s only way back. THX 1138's popularity ranking on CharacTour is #3988 out of 5,000+ characters. See our top-ranked characters and read their profiles.